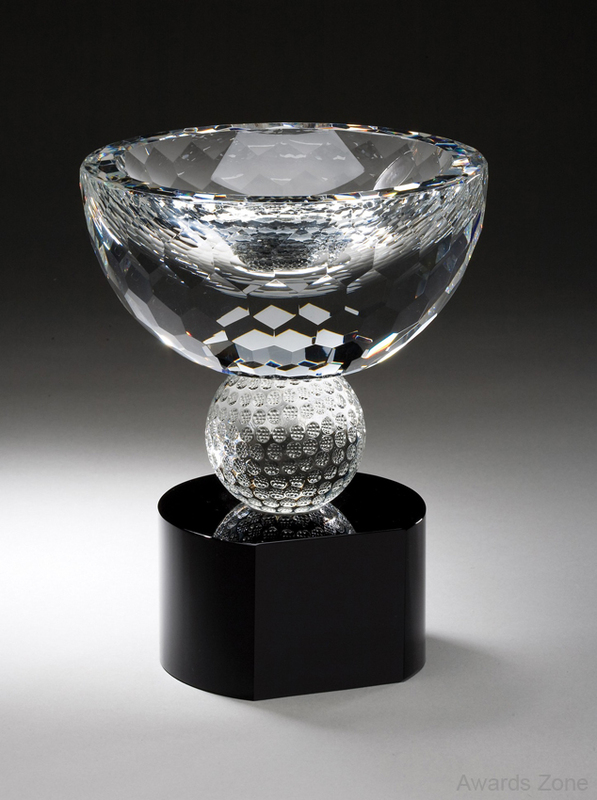 Premium Prism Optic Crystal Golf Bowl on Black Crystal Base. Comes packed in a deluxe velour lined box. 7 1/2" x 6" We etch with sand directly on the black crystal to give you a superior look that will last.